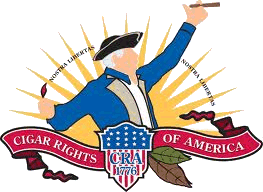 Ordinarily, I purchase everything I review here at The Cigarmy from various cigar shops around the state of Florida. However, I was offered and jumped at the chance to sample the Ezra Zion pre-launch. I learned that it features a Corojo ’98 wrapper, a double binder using Criollo ’99 and Corojo ’98, and a filler blend highlighting medio tiempo. The most exciting part of that equation for me is the medio tiempo in the filler blend. I have recently begun to notice a pattern of seeing that leaf show up in blends that I favor. As of yet, I have not seen any information on MSRP or geographical availability. So, let’s get underway. The Inception sports a very silky wrapper, uniformly chocolate-brown in color. The sample I received is about 6.125″ long, and is pressed into an elongated cross-section that makes the ring difficult to determine, depending on how you prefer to measure. The longest diameter appears to be a 52-54 if I had to pin a number on it. The bands are attractive and wellmade, evoking some Biblical imagery in both the name of the company and the angels with outstretched wings covering the logo (à la cherubim over the Ark of the Covenant). The prelight aroma is that of sweet tobacco with a mild hint of cedar. There is a slight sweetness on the draw; not in the sense of some cloying flavoring, but a naturally mild sweetness akin to dry hay. The draw is deliberate but free, just about perfect for my preferences. At first brush with fire, the aroma of the smoke is strikingly woodsy, reminding me of an oak fire in the smoker. The first few puffs produce a potent, spicy kick on the back of the palate and through the nose as well. Within the first 1/2″, the spice on the back of my throat subsides quite a bit, although there is still a strong tingle upon retrohale. It self-ashes at about an inch, by which time it has developed a more general woodsy flavor. It produces a long but pleasant leathery finish as well. 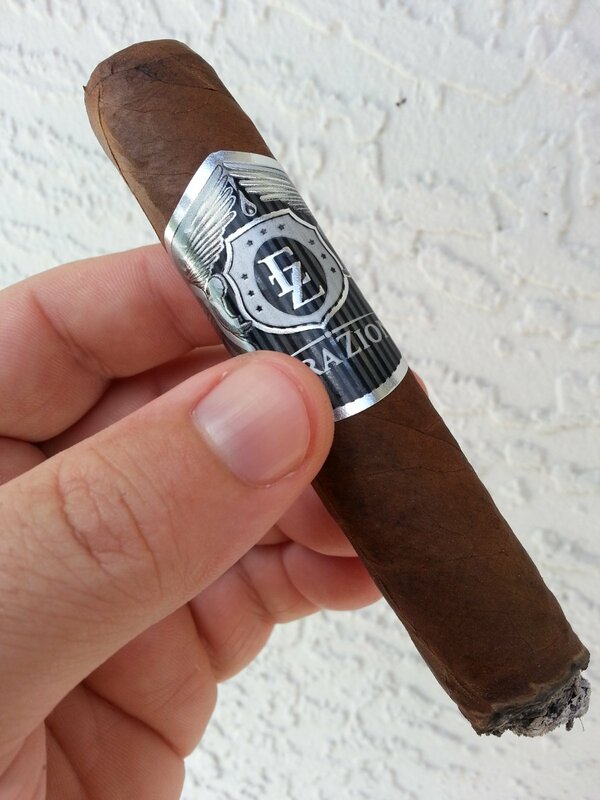 I’m not sure how these cigars will be classified or marketed by Ezra Zion, but this one falls strongly into the heavier end of medium for me. Going into the second inch, there’s no doubt you are smoking a cigar, but it is not brash or overpowering in any way. The blend is quite well balanced between flavor and strength. Throughout this portion of the smoke, the core flavors remain in the same family as earlier, but solidify and build within the leather and wood ranges. I get a hint of cocoa at times as well. The aforementioned spice has moved into the background at this point, although I’m not sure if the cigar subdued or my palate adjusted. In any event, the slight nasal burn has dissippated almost entirely. 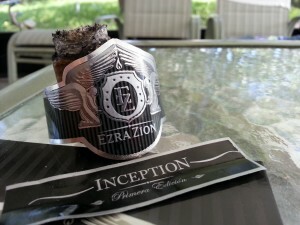 In the final segment of the cigar, the Inception really comes into its own. 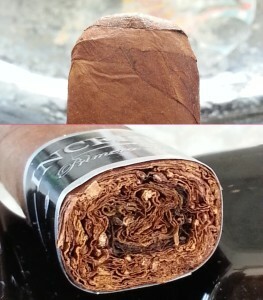 I am surprised at how true the flavors remain this deep into the cigar. The flavors have intensified, without becoming harsh or bitter. The strength may have picked up a bit as well, but I don’t get any of the unpleasant irritation on the back of my throat as I sometimes do with some Nicaraguan puros. A bit of the tingle returns on retrohale, but it is still a very enjoyable smoke. For a first effort, the Ezra Zion Inception is a phenomenal cigar. Cheers to Chris, Kyle, and The Don for making it happen. The blood, sweat, tears, and love behind this cigar are apparent in the result. The blend selection, leaf quality, and construction are very good, and produce a great smoke. I’ve seen a lot of cigars hit the market in the past 20 years or so, some destined for greatness but many destined for the clearance bins. I believe the Inception has the “chops” to be a great success, and I hope that success is realized – both for the people behind it, and selfishly for my own enjoyment. I anxiously look forward to seeing them on the shelf, which I understand will begin to happen in a couple of weeks after IPCPR in Orlando. I’m also looking forward to getting my hands on the Reagan as well. If you enjoy bold, flavorful Nicaraguan cigars I’d encourage you to be on the lookout for these as I think most of you would definitely find them worthwhile. 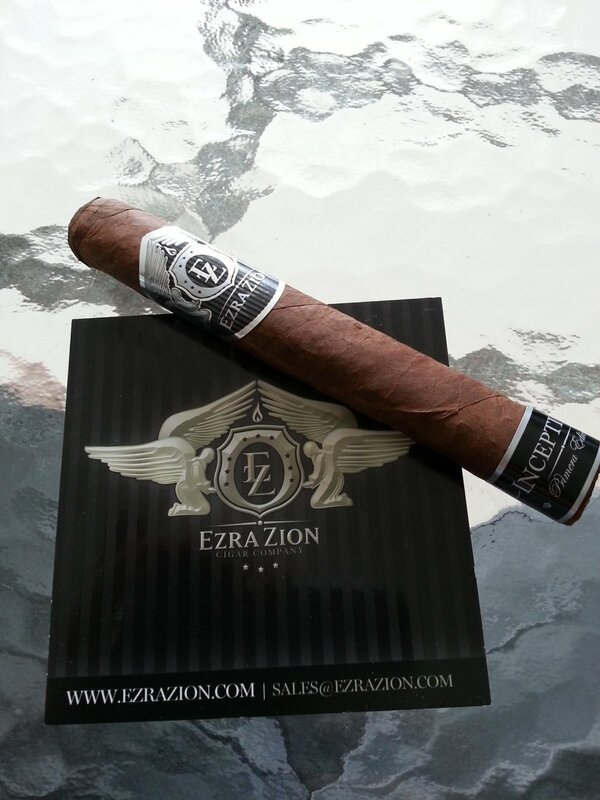 If you want to find out more about Ezra Zion Cigars, check out their website or Youtube channel.